An abandoned government storehouse in the nature park at Xrobb il-Għaġin, used for years by Dom Mintoff as a private place of recreation, is being turned into a two-bedroomed residence by his eldest daughter Yana, The Sunday Times of Malta can reveal. 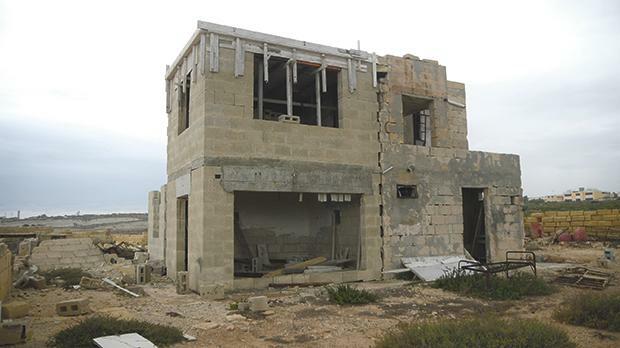 The development is taking place in one of the island’s few remaining natural habitats and a place of national scenic importance, on the basis of a planning permit issued by the PA years ago. The permit was granted despite resistance from the PA’s own environment directorate, its natural heritage advisory committee and NGOs. The planned home, within the precincts of the Xrobb il-Għaġin Nature Park on the beautiful promontory, came to the attention of The Sunday Times of Malta when it received pictures taken from the sea by a yachting enthusiast. Inquiries revealed that the place was never used as a residence by the former prime minister or by anyone else. This has prompted planning experts who spoke to the newspaper to raise doubts over the permit’s legitimacy, since a development of this nature is normally only allowed upon the presentation of proof that it used to be inhabited. Questions about the matter sent to the Planning Authority last week were met with a deafening silence. Works on site appear to have been going on for some time, with the demolition of some of the walls of the former store, the laying of bricks on two stories and the digging of a ‘water reservoir’ on one side of a building. The access road to the site, in the area known as Il-Ponta, is barred by an iron gate and signs state that this is private property. When The Sunday Times of Malta went on site, a person who claimed to own the whole area, including the protected salt pans adjacent to the building, asked why we were there and what was going on. He said the area had belonged to his family for a long time except for the place “owned by Mintoff”. However, The Sunday Times of Malta is informed that the area is in fact government property and has been occupied by squatters for a long time, mainly hunters, without the authorities taking action to clear the site and allow access to the public. Documentation reveals that in 2002 the government had applied for a permit to restore the abandoned store once used by Mr Mintoff. This followed an out-of-court settlement over a constitutional case filed by the former prime minister over his other summer villa in Delimara (see below). A permit was issued to turn the store into a small residence for his use while the property would still belong to the government. However, the permit was never pursued and expired after five years. In 2015, following Mr Mintoff’s death, his daughter, Yana Bland Mintoff, applied for a “regeneration of existing premises and change of use to a residential dwelling”. Through her architects, X,Y,Z Architecture, which is co-owned by current Labour Party president Daniel Micallef, Ms Mintoff Bland said her father had not carried out the work allowed by the first permit. She now wanted to turn the government property into a two-bedroomed residence and transform its entrance into a private landscaped front garden and private parking space. The PA’s Environment Protection Directorate objected, arguing that while the validity of Mr Mintoff’s permit had elapsed, as no work had been done, “the proposal undermines rural characteristics of the area, through the introduction of a fully-fledged dwelling”. 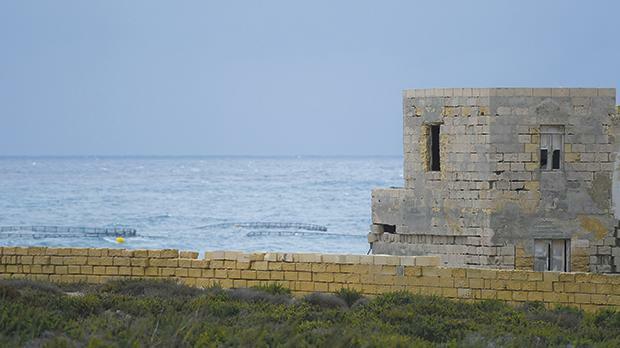 “The site is located directly on the headland of Xrobb il-Għagin, an area characterised by coastal cliffs, which nationally is of scenic and landscape importance,” it argued. NGOs, including Flimkien għal Ambjent Aħjar, also filed objections to the proposed development. Another came from the Natural Heritage Advisory Committee of the PA, which said it could not consider the application “unless the applicant submits proof that the building was previously used as a residence”. No such proof is known to exist. Despite the objections, the PA approved the application in 2016 on the premise that a permit had already been issued in 2002 and that “the site in question had been part of an out-of-court settlement package in conjunction with compensation due to the Delimara Power Station”. Asked about how the Lands Authority had granted permission to Ms Mintoff Bland to develop a site owned by the government, a spokesman did not reply. Neither did the authority state who holds the title to the site and who is paying for the works. Efforts to contact Ms Mintoff Bland were unsuccessful by the time of writing. Work on the place within the Xrobb l-Għaġin Nature Park has been under way for some time. In 1987, following the return of the PN to power, the government decided to build a new power station at Delimara. Dom Mintoff, whose summer villa, known as L-Għarix, was in front of the site, protested vehemently and asked for compensation. Following a court case, in 1995 the Constitutional Court ruled in his favour and decided that the building of a power station close to his house breached his human rights. Mr Mintoff started negotiations on an out-of-court settlement for damages. In 1998, shortly before the collapse of the Sant government, Mr Mintoff was offered compensation through land and a house in Fawwara, Siġġiewi, valued at €535,000, apart from being granted another €298,000 in damages. As Mintoff wanted more, the deal fell through. In another attempt at finding a compromise, a PN government agreed in 2002 to allow Mr Mintoff to retain L-Għarix and apply for a development permit for another piece of land at Xrobb il-Għaġin, to be transformed into a residence at government expense. The agreement stipulated that Mr Mintoff would then purchase the building and its cost would be set off against compensation for damages due to him. The government was to give Mr Mintoff €184,000 in monetary compensation. A permit was issued in 2003 but the property was never developed. This whole agreement then fell through a second time. Mr Mintoff pursued his legal action and in 2004 the Constitutional Court concluded that since his Delimara house had “lost any subjective value” and the former PM’s human rights had been violated, he was to be compensated the sum of €830,000.